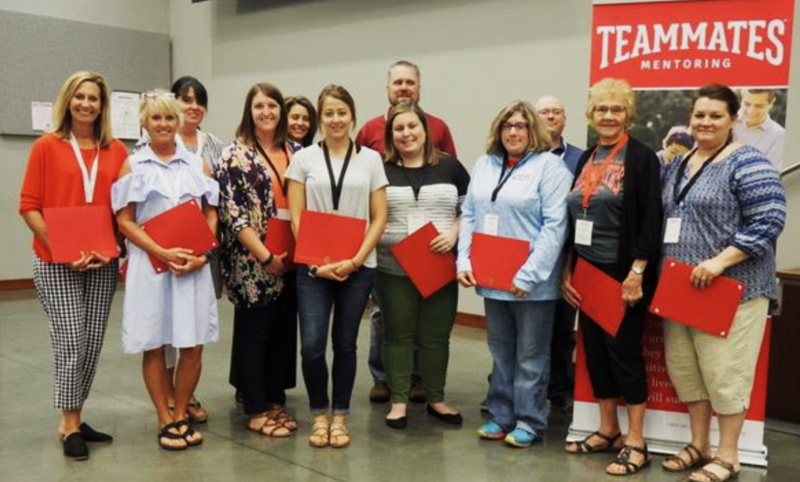 TeamMates of Fairbury was recognized at the Annual Partnership Meeting on July 24th for reaching its 10th year of mentoring. Fairbury, among other communities, has been making quality matches based on shared interests and the school and community has benefited from the program’s presence. Statistics based off of data collected last school year showed some promising numbers; over half of our local matches are staying together for at least 3 years, 90% of students in the program had fewer disciplinary referrals, and 100% of matches in Fairbury had fewer unexcused absences. The goal of the Mentor is not to tutor or fix the student, however, our statistics show that TeamMates helps engage both students and volunteers alike with 95% of Mentors claiming to leave their weekly visit in a better mood than when they arrived. If you would like to become a part of this fun and advantageous program, please contact coordinator, Tiffany Ebke at tebke@fairburyjeffs.org to learn about the application process and learn about upcoming training dates!